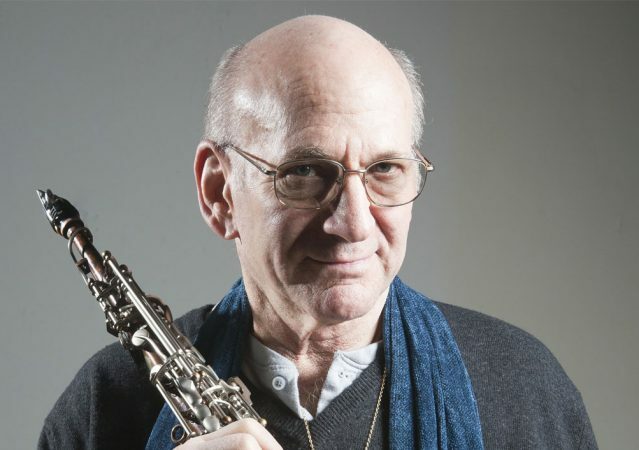 David Liebman was born in Brooklyn, New York on September 4, 1946. He began classical piano lessons at the age of nine and saxophone by twelve. His interest in jazz was sparked by seeing John Coltrane perform live in New York City clubs such as Birdland, Village Vanguard and Half Note. Throughout high school and college, Liebman pursued his jazz interest by studying with saxophone guru Joe Allard as well as jazz musicians Lennie Tristano and Charles Lloyd. Upon graduation from New York University (with a degree in American History), he began to seriously devote himself to the full time pursuit of being a jazz artist.In the early 1970s, Liebman took the leading organizational role as Founder and President ofFree Life Communication, a cooperative of several dozen young musical. Free Life became an integral part of the fertile New York “loft” jazz scene in this period and was funded by The New York State Council of the Arts with a residence in the Space for Innovative Development with several other famous performing groups (the Alwin Nicolais Ballet Company).After one year spent with Ten Wheel Drive, one of the early jazz fusion groups, Liebman secured the coveted saxophone/flute position in the group of John Coltrane’s ex-drummer, Elvin Jones. Within two years, Liebman reached the zenith of his apprenticeship period when the legendary trumpeter Miles Davis hired him. These years from 1970 thru 1974 were filled with tours, recordings and the incredible experience gained by being on the band stand with two masters of jazz. At the same time, Liebman began exploring his own music-first in the Open Sky Trio with Bob Moses and then with pianist Richie Beirach in the group Lookout Farm. This group recorded for the German based ECM label as well as A&M Records and touring the U.S., Canada, India, Japan and Europe. In 1977, Liebman did a world tour with pianist Chick Corea followed by the formation of the David Liebman Quintet with John Scofield as featured sideman. After several world tours and recordings by the quintet over three years, he reunited with Richard Beirach in the duo format and formed the group Quest in 1981. Beginning with bassist George Mraz and drummer Al Foster, the group solidified with the addition of bassist Ron McClure and drummer Billy Hart. Through 1991 the group recorded seven CDs, toured extensively and did many workshops with students worldwide, garnering high critical praise worldwide. (Most recently the group has reunited for selected tours and new recordings. )Lieb’s present steady working group which has been together since 1991 includes guitarist Vic Juris, bassist Tony Marino and drummer Marko Marcinko. With these musicians he has pursued an eclectic direction in recording projects that has ranged from jazz standards to Puccini arias, adaptations from the John Coltrane and Miles Davis repertoires, original compositions in styles ranging from world music to fusion and free jazz, always maintaining a repertoire that balances the past, present and future.Over the past several decades, Liebman has often been featured with top European musicians such as Joachim Kuhn, Daniel Humair, Paolo Fresu, Jon Christensen, Bobo Stenson, Michel Portal, Wolfgang Reisinger and Jean-Paul Celea among others. His reputation in Europe has led to big band and radio orchestra performances with the WDR in Koln, Germany; Metropole Orchestra, Netherlands; “new music” groups Klangforum, Vienna, and the Ensemble Intercontemporain from Paris, playing music specially commissioned to feature Lieb’s unique soprano saxophone style. David has been featured on nearly three hundred and fifty recordings, of which he has been the leader or co-leader on one hundred fifty with several hundred original compositions written and recorded. His artistic output has ranged from straight ahead classic jazz to chamber music; from fusion to avant garde and world music.Lieb’s published materials include a wide variety of books considered classics in the field as well as instructional DVDs and chamber music (Aebersold Publications, Caris Music and Advance Music): Self Portrait of A Jazz Artist, A Chromatic Approach to Jazz Harmony And Melody, Developing A Personal Saxophone Sound, several of which have been translated into multiple languages.His teaching activities at universities and in clinic settings have taken him literally around the world as a result of his varied musical directions and expertise on several instruments, along with an ability to articulate the intricacies of the jazz language, aesthetic and technique. Over the years, he has regularly received grantees to study with him funded by the NEA (U.S.), the Canadian Arts Council, as well as arts councils of numerous European countries. In 1989 he founded the International Association of Schools of Jazz (IASJ), an organization dedicated to networking educators and students from international jazz schools through periodic meetings, exchange programs and newsletters. Liebman presently serves as the Artistic Director of the IASJ and is Artist in Residence at the Manhattan School of Music, NYC. He has consistently placed among the top three finalists of the Downbeat Critics Poll since 1973 in the Soprano Saxophone category, gaining the top place in 2011 as well as placing first in the Jazz Times Critic’s Poll in the same year.